Interpol celebrated 21 years as a band last year with the release of their sixth album, Marauder. As one of the most successful bands to come out of the post-punk revival of the early 2000s, they’ve shown resilience and ongoing popularity that few of their peers can match. Since 2010 the band has been recording as a three-piece with singer Paul Banks, guitarist Daniel Kessler, and drummer Sam Fogarino, but live they are augmented by keyboardist Brandon Curtis (of Secret Machines) and bassist Brad Truax. It was this lineup that came to Washington, DC on Friday for the band’s biggest headlining show in the city so far at The Anthem. The band opened the set with “Pioneer to the Falls” from their third album Our Love to Admire, but it was the first two albums, Turn on the Bright Lights and Antics which really stole the show, taking up over half of the setlist between them with now-classic songs like “NYC,” “Roland,” “Evil,” and “Slow Hands.” Of course, the band didn’t ignore Marauder, playing the first four tracks off of the album spread throughout the night. The setlist even included one new song, “Fine Mess,” which the band has debuted in this recent run of shows. NYC indie rockers Sunflower Bean opened the evening. 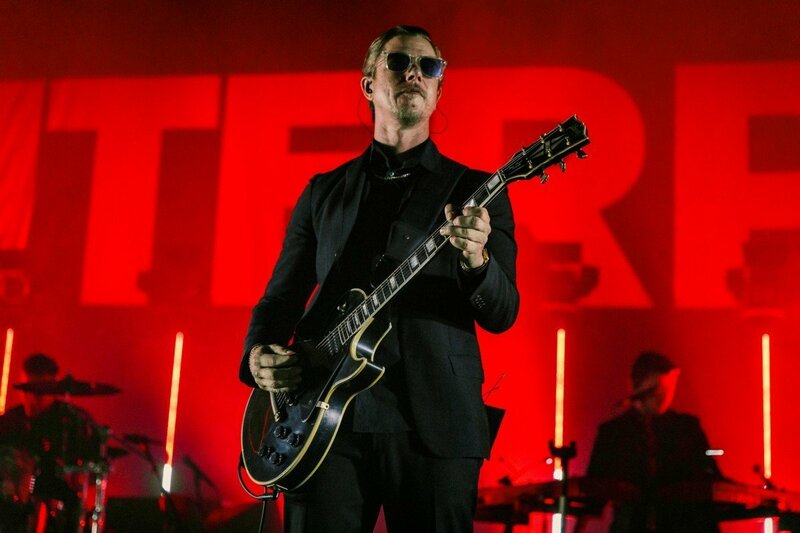 Interpol at The Anthem in Washington, DC on February 15th, 2019. Photos taken for Concert Addicts concertaddicts.com. Please note that all photos are copyrighted and may not be copied or reproduced without permission. Sunflower Bean at The Anthem in Washington, DC on February 15th, 2019. Photos taken for Concert Addicts concertaddicts.com. Please note that all photos are copyrighted and may not be copied or reproduced without permission.